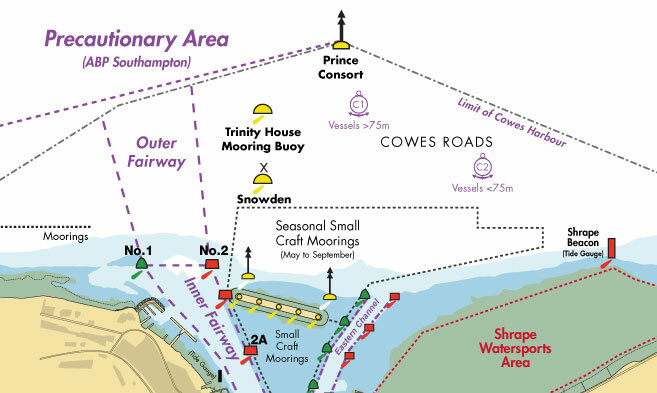 Notice is hereby given that all mariners are advised to proceed with caution when navigating in the areas of the Jubilee Pontoon, Town Quay basin, and their approaches. 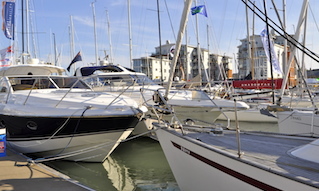 Many vessels and craft of all sizes use the area including the Red Funnel Red Jet High Speed passenger craft berthing at Jubilee Pontoon, Red Funnel Ro-Ro car ferries and large commercial vessels transit the area on a regular basis and in addition, other smaller passenger vessels and recreational craft transit the area and berth at the public landing and associated pontoons in Town Quay. Mariners are advised that inbound Red Jets will sound one short blast, in accordance with the collision regulations, prior to turning to starboard off Jubilee Pontoon. Mariners should not attempt to overtake the Red Jet when it is slowing to approach and turn onto Jubilee Pontoon. 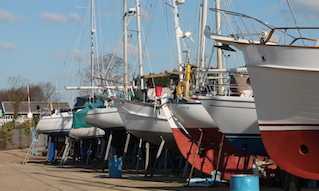 Attention is drawn to the turning area required by the Red Jets, the resulting wash that may be produced and the density of other traffic all within the confines of the Town Quay basin and its approaches. 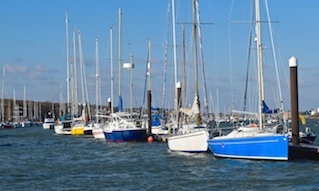 All vessels over 30m which include passenger and vehicle ferries operating within Cowes Harbour make ‘ALL SHIPS’ information calls prior to arrival and departure from Cowes Harbour on Working Channel (VHF Ch. 69). All mariners are therefore advised to keep a listening watch on this channel at all times when within harbour limits. Between HW -2.5hrs and HW vessels transiting the Inner Fairway between the Island Sailing Club and the Small Craft Channel may experience a westerly cross current of up to 1.5knots, larger vessels may be required to navigate on the eastern side of the fairway when inbound and outbound, vessels under 20m in length and sailing vessels shall avoid impeding their passage. Please see the relevant LNTMs, available on the website for more details.